Pick 26 | Rhylee West Highlights Watch highlights of father-son recruit Rhylee West in action for the Calder Cannons and Vic Metro during 2018. Inside midfielder Rhylee West will follow in the footsteps of father Scott, drafted to the Bulldogs as a father-son selection. It’s fantastic that we’re able to continue the West family name at the Western Bulldogs. The Western Bulldogs have secured son of a gun Rhylee West with pick 26 in the 2018 NAB AFL Draft. Melbourne made a bid for West, which the Bulldogs matched to ensure the 18-year-old could arrive at VU Whitten Oval. West will start his journey at the same club his father Scott played 324 games and won a Club-record seven Charles Sutton Medals. A standout inside midfielder with the Calder Cannons and Vic Metro this season, West is renowned for his ability to win contested possession and apply pressure to the opposition. 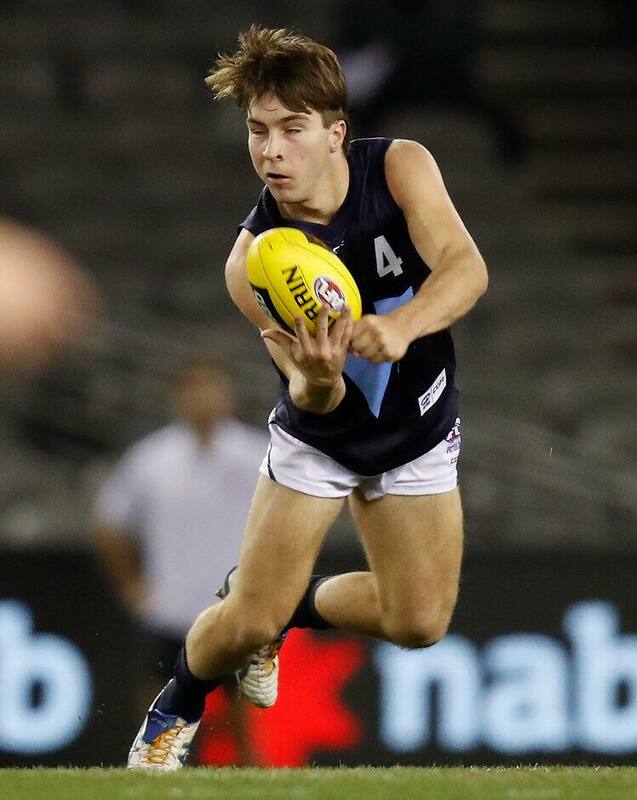 An AFL Academy Member in 2018, he averaged 22 disposals (50 percent contested), five clearances and four tackles throughout the Under 18 Championships. “It’s fantastic that we’re able to continue the West family name at the Western Bulldogs” said Bulldogs’ National Recruiting Manager, Nick Austin. “We have a strong connection between father-son selections at the Bulldogs, and it’s a big thrill for us to welcome Rhylee to the Club. “Rhylee’s ability to find the footy and his tackling and pressure around the contest are some of his greatest strengths. “While he is elite with his stoppage work, he is also creative when he has the footy and has the vision to think beyond the contest.